These Ministers were not trying to make a political statement, but they were desirous of presenting their prayerfully presented case to the world. One thing, indeed, the world must understand, that while the Christian people of the Southern States engaged in the war, they did so under the full sense of what behooved them as members of the Church of Christ. A primary point made in the Address was that the war was forced upon the South when it desired peace. In other words, the South was forced to defend itself, on the Southern side it was a Biblical war of self-defense. Northern troops were sent to force the South to submit. Where had freedom gone? 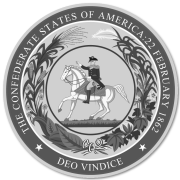 “Christian brethren, could the hand of violence win you to desire fellowship with a people while it destroyed your peace, polluted your sanctuaries, invaded the sacred precincts of your homes, robbed you of your property, slaughtered your noble sons, clothed your daughters in grief, filled your land with sorrow, and employed its utmost strength to reduce your country to the degradation of a subjugated province? Would it rather animate you to prefer death – honorable death – the patriot’s alternative, the Christian’s martyrdom? The address was published in London and was circulated widely. It was picked up by every respectable Christian publication in England as well as the Quarterly Review and Edinburgh Review. Be the first to review “An Address to Christians Throughout the World” Click here to cancel reply.